I believe that the art of painting, and the painting itself, should convey a feeling of serene satisfaction and inner harmony." It is said that Japanese artists invented collage over 800 years ago; some say Horiuchi perfected it. His work has been described as romantic, serene, and sensitive. Some say his collages have earned him the title Master of Collage. Horiuchi was born in Japan and at an early age he studied calligraphy, Sumi painting, and watercolor. He came to the United States in 1922, moving to Seattle in 1946. 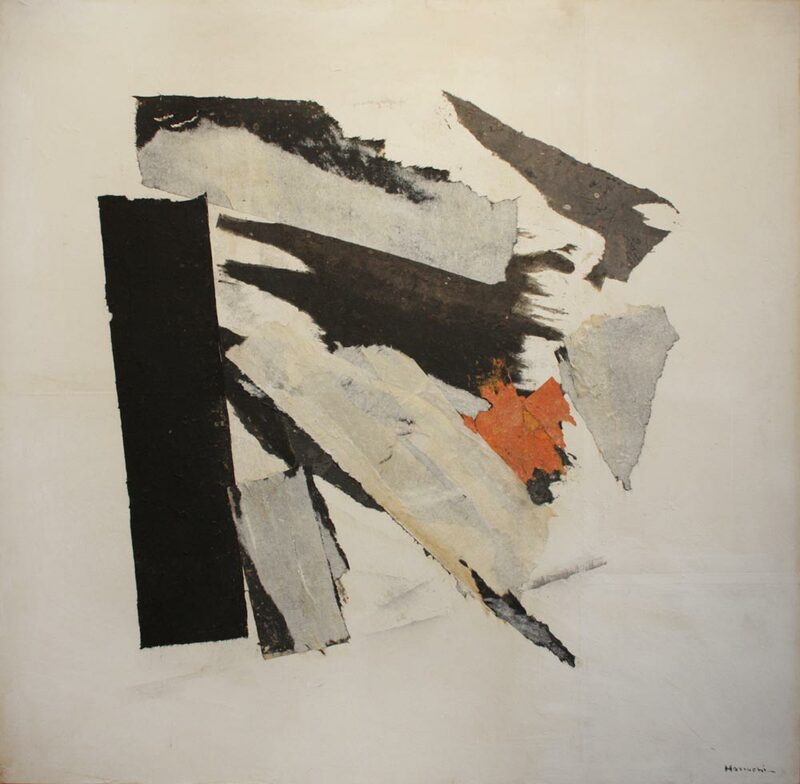 He began serious focus on collages in the 1950s. 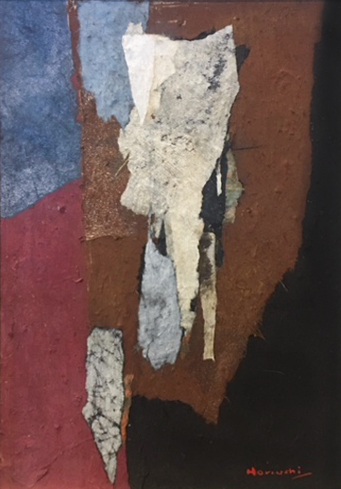 Horiuchi initially painted in oils but gradually stepped to collage. He created his "palette" by dying sheets of handmade paper with casein and pigment. From these he tore and assembled his imagery. The raw torn edges formed an active surface. 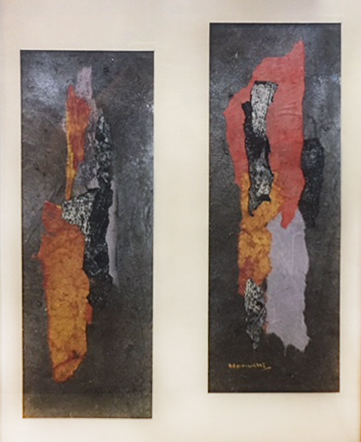 Horiuchi enjoyed a close, expansive friendship with artist Mark Tobey. They shared an interest in Asian antiques and Zen philosophy. His first major one-artist exhibit was held in Seattle in 1957 and was followed by a one-artist exhibit at the Seattle Art Museum (1958). In 1969, Seattle Art Museum curated a retrospective exhibition displayed at the musuem as well as Museum of Art (University of Oregon). Horiuchi has been the recipient of many honors and awards including a Lifetime Achievement Award from the Wing Luke Asian Museum in 1955. His works are in the collections of major museums, including the San Francisco Museum of Modern Art, Fogg Art Museum (Harvard University) and Cambridge University, England.